The good people of The Melt were generous enough to invite me to the relaunch/prelaunch of the Hollywood location. Metered street parking was a breeze to find. The setup at The Melt was the standard order and pay at the counter. My host, Jenna, was a trove of useful information about both the food and the organization. She set me up with a broad sampling of The Melt's burger and sides fare. I noted that the wait times for food were in the range of 5 minutes, and this was impressive considering that the staff was working in a revamped kitchen with a revised/expanded menu. The Hollywood location boasted high-quality sodas and a nice selection of beers and wines--mostly local offerings. Jonathon Kaplan, the founder of The Melt also founded Pure Digital Technologies, the good folks that brought low-cost, high-quality, video capture to the masses (Flip Camera). The Melt was based on a similar philosophy...take gourmet ingredients and package them for consumers at a reasonable price in a comfortable format. The Beef: The Melt was tight-lipped about the source, cuts, etc. I was informed that the beef was a custom blend of 90% Angus/10% Waygu. It seemed a fair guess that they went with one of the locally available, free-range, grass-fed, hormone-free ranches like Myer, Estancia, or Niman. The fat content came in at about 20%, and the oil coated my lips without creating a greasy mouth feel. 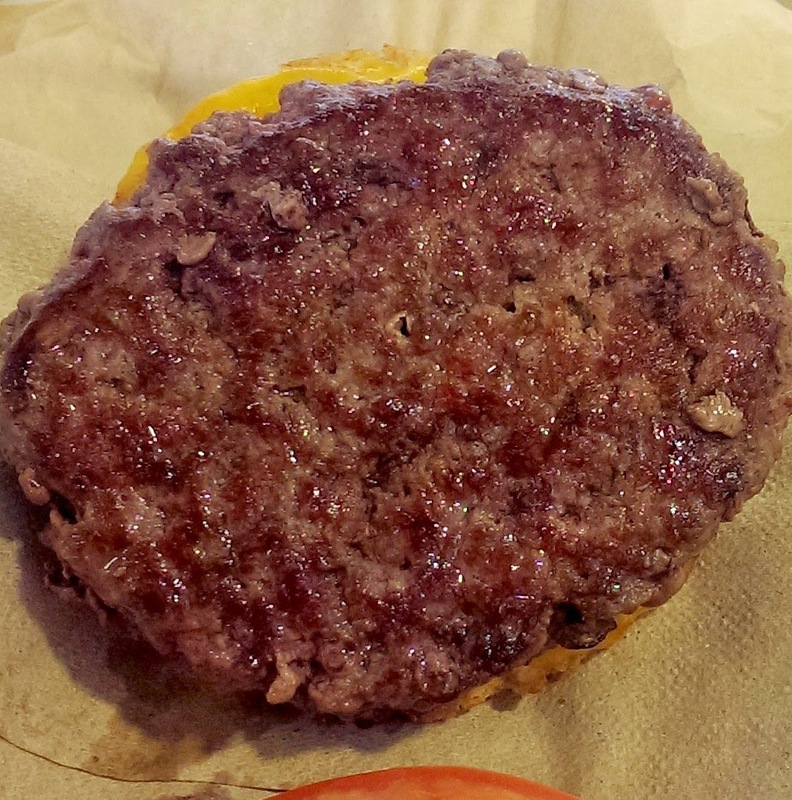 The 4-ounce patty had a firm but not chewy texture. Based on the complexity of the flavors and texture, I guessed that the burger patty was predominantly Sirloin with some Chuck and Short Rib to round things out. The texture resembled coarsely ground steak, and the flavor followed suit. The beef was juicy, and it boasted strong beef notes along with mineral notes. The faint taste of complex funkiness likely came from Short Rib. The beef was a solid winner. The Seasoning: The exterior of the irregular, hand-formed patty was seasoned with just the right amount of salt and pepper to accentuate the strong flavors of the juicy beef. 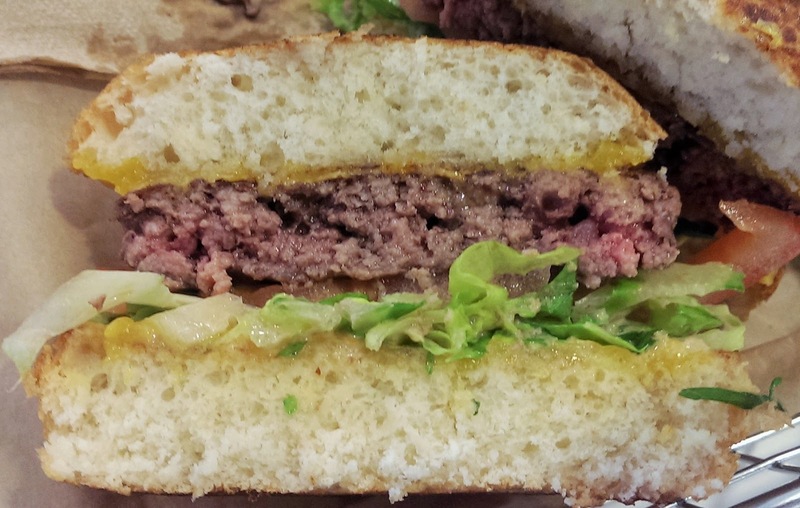 The Sear: The Melt applied a deep, rich sear to both sides of the burger. This was accomplished via a gas-fired flat-top. The Preparation: The Melt took delivery of their beef in a ground and pre-blended state. The kitchen staff formed the 1/4 pound burger patties by hand during the prep cycle. The beef was not over-manipulated, and this resulted in the firm yet yielding bite. Burgers were cooked to the house default of Medium. 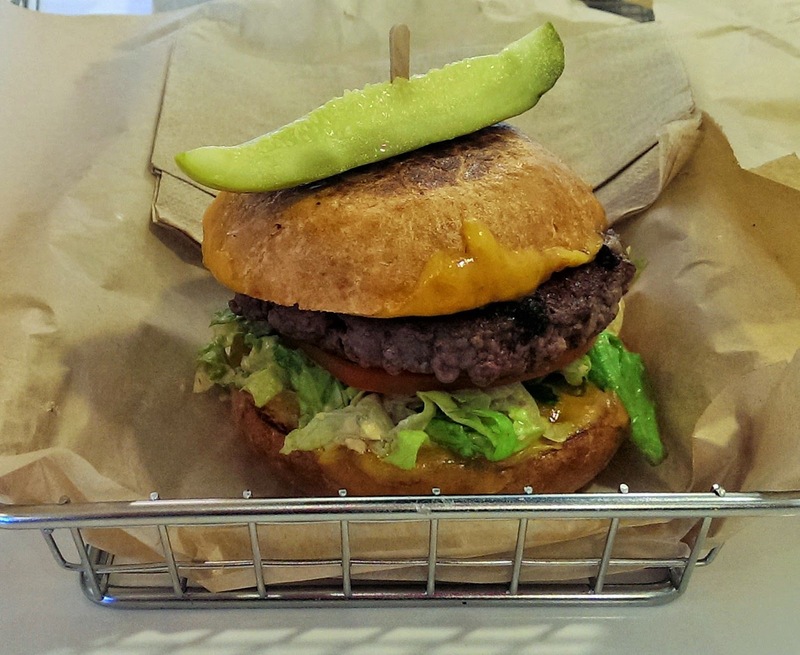 The Cheese: I tried a variety of burgers with a variety of cheeses. The Original came with Aged Cheddar....two slices of Aged Cheddar...each bonded to one of the halves of the bun rather than the burger. Smart! This juice-proofed the bun. The cheese itself was good. Salty and just a little gooey. It is important to note that I tried the burgers at The Melt in the way prescribed by the chef. That meant that the burgers were lent a fair amount of moisture and texture by the various toppings. 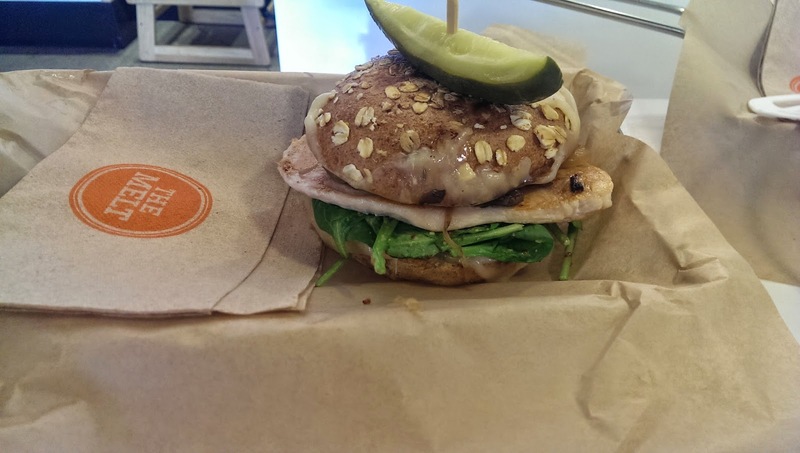 The Bun: The Original's potato bun was savory with a cake-like consistency. This made perfect sense when combined with the lettuce, tomato, and sweetish Melt sauce. The high-domed bun was properly toasted. Again, I sampled all of the burgers fully topped, so the added ingredients imparted a lot of moisture to the bite. A meat/bun/cheese only burger would have probably been dominated by the bun. The Meat To Bun Ratio: In the case of all of the fully topped burgers sampled, the meat to bun ratio was spot on. The Toppings: The menu was designed by Chef Laurie Fulmer. 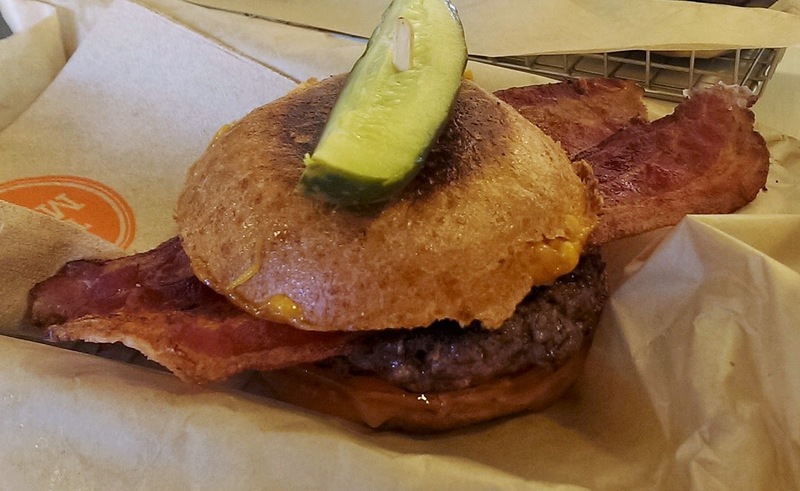 Chef Fulmer took a very thoughtful and precise approach to her burger-craft and beyond. Original ($4.95)--Fresh Iceberg lettuce...ripe, local tomato slice...savory/sweet Melt sauce. Mission($5.95)--House-charred Jalapeno pepper slices...fresh, rich Avocado slices...house-pickled red onion...Harissa ketchup. Double Bacon BBQ($6.95)--Crisp, smokey bacon (2 slices)...grilled onions...ripe, local tomato slice...BBQ sauce. I loved this burger. Crunchy, beefy, savory, sweet--I would go back for that one. 'Shroom (Chicken Breast)--Moist, seared chicken breast...creamy Fontina cheese, wilted spinach leaves...house-pickled, red onions. There were no bad choices in terms of the combinations. Each burger delivered a nice balance of flavors and textures. The Fries: The Melt took delivery of par-cooked, bagged, and frozen fries. The peel-off, standard cut fries were properly crisped in canola oil and seasoned with the proprietary blend that went on the grilled cheese sandwiches for which the restaurant was famous. The fries remained crisp as they cooled. More importantly, the fries were delicious. The Well Dressed fries were well beyond delicious. 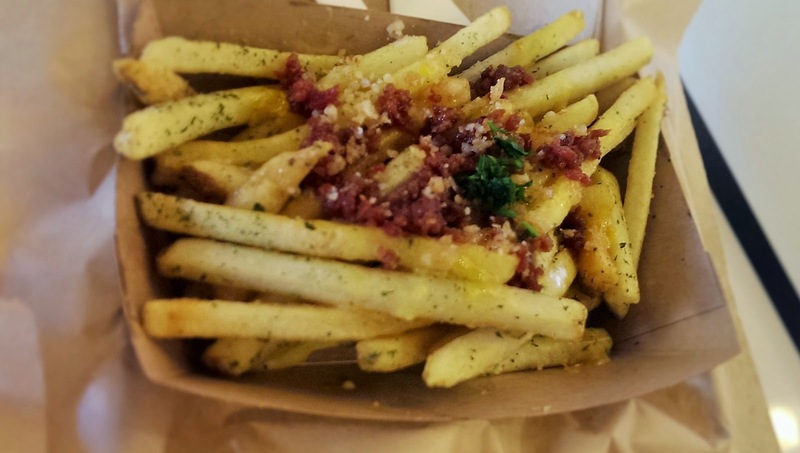 The fries were covered in a mixture of Aged White Cheddar, Fontina, and Monterey Jack cheeses, crumbled bacon, and crispy onions. These were simply ridiculous and difficult to push back from. 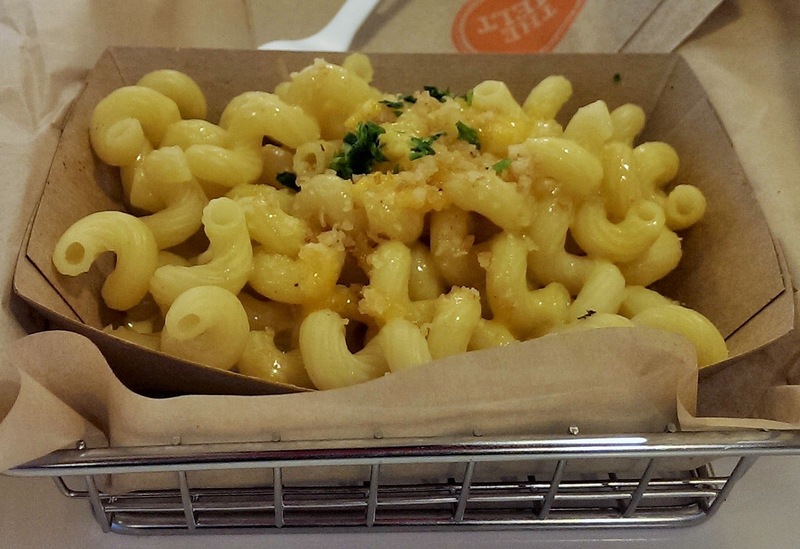 The Mac And Cheese: I sampled a version called Trio. This was perfectly al dente Cellentani mixed with a savory blend of Aged Cheddar, Fontina, and Monterey Jack cheeses with a bit of crispy onion. This was perfectly delicious and difficult to stop eating. The S'more: Good heavens, the S'more! This was an unreasonably tasty mess. Salted butter was applied to thinly sliced bread. This bread then sandwiched layers of French marshmallows, Godiva chocolate, and something resembling a caramel syrup. The whole works was seared to toasty, melty, gooey, sweet, and salty perfection. It was like the world's best version of Nutella. So good! The Value: The Melt served up well-considered, artfully prepared, and high-quality burgers for a very reasonable price. The value was great. The Melt served up chef-inspired cheeseburgers prepared with care, skill, and attention to the way that flavors work on the palate. The fries were terrific, and the S'more stole the show. The Sunset Strip boasts a fair number of burger restaurants...some good and some not so good. The Melt has firmly established itself among the best in the area. Burger Review : Great burgers with the perfect amount and combinations of toppings at a very reasonable price. The Melt served up one of the best cheeseburgers on the Sunset Strip. Great to read a new review. Not so pleased that it was somewhat sponsored. Looking forward to a lot more burger reviews soon.